Monday 22nd May 2017 at 7pm in School. Do come along. We are again taking part in the bag2school collection. A big thank you to everyone who collected for Bags 2 School - these were collected today and we amassed an amazing 440kg of clothes etc. This is fantastic - the driver reckons that normally he would collect about 200kg - so well done to everyone. Please join us at this meeting - starts at 7pm in school. If you have any unwanted clothing, paired shoes etc NO BEDDING, CURTAINS OR TOWELS please fill a bag and return it to school by 8.30AM on Wednesday 8th June. 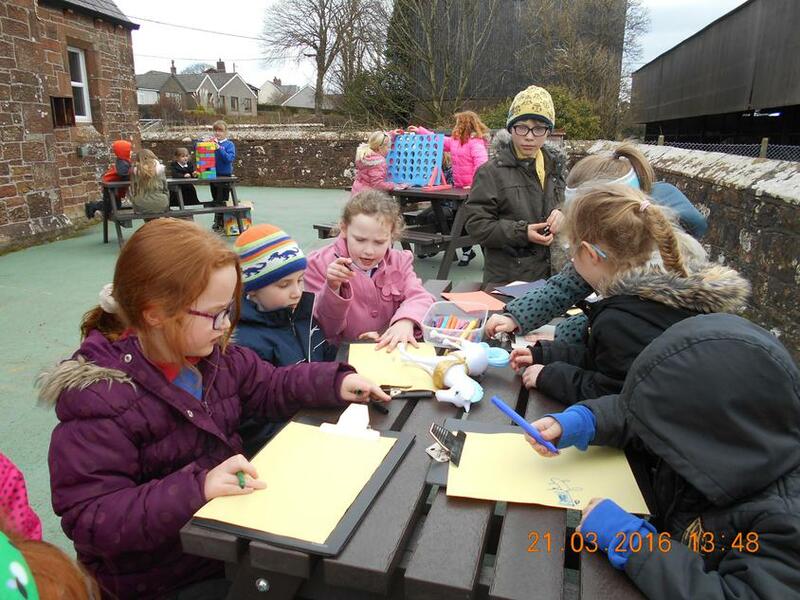 Bowness-on-Solway Primary School has an enthusiastic and supportive Parents Association of friendly parents and friends of the school. Please feel free to join us at one of our meetings! 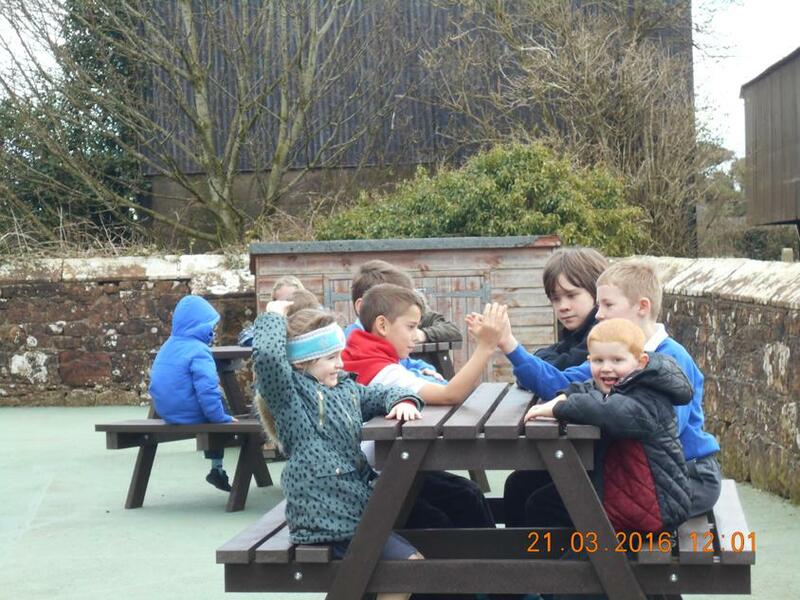 Great excitement in the playground today - the PA have purchased 3 picnic tables for the children to use. 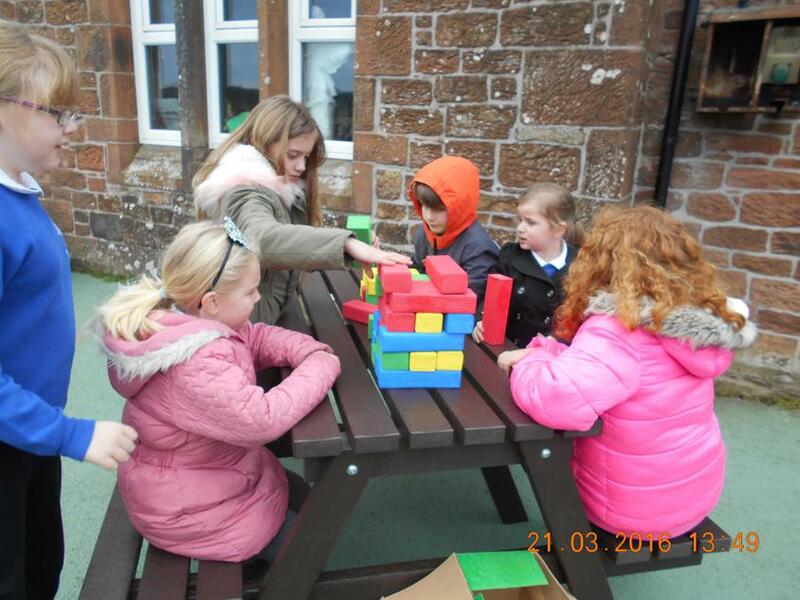 Miss Davies took Assembly in the playground today and unveiled them to the children. A big thank you to everyone who supported the Bingo on Friday evening. 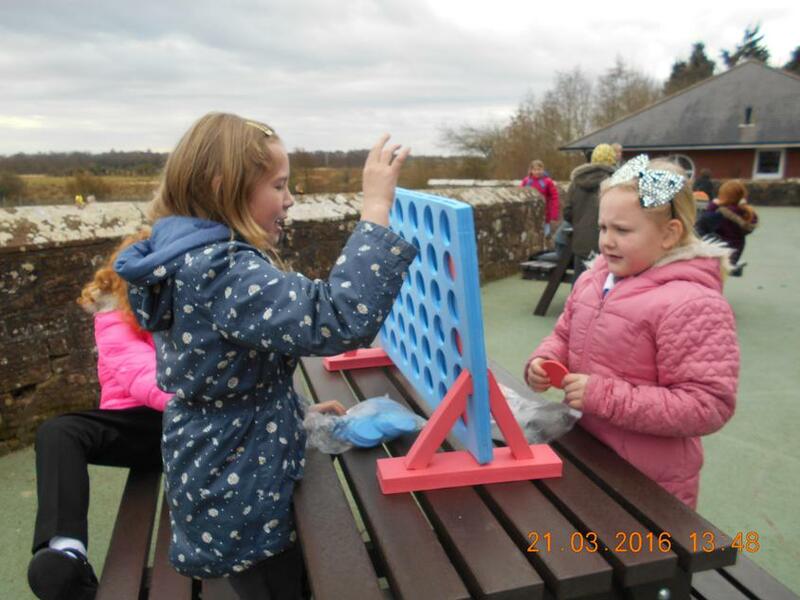 We raised a fantastic £230. A BIG thank you to all the stall holders and everyone who came a supported the Christmas Fayre on Saturday - £275.00 was raised. Tea/coffee, Mince Pies and cakes. The school children's hand made crafts will be on sale. If you require a table to sell your home made crafts, Christmas cards, home baking/jams etc. The next meeting is on Wednesday 2nd December 2015 at 7pm. Please come along and support. £5.00 per bag - they would make ideal presents! Please come along to our fun day and enjoy activities! Be creative - prizes for best in show! Helpers needed for the event to go ahead and donations of baking and prizes for tombola gratefully received. The children are having a fantastic time with the exciting new diggers and tractors. These were bought by the PA from the funds raised at chocolate bingo.